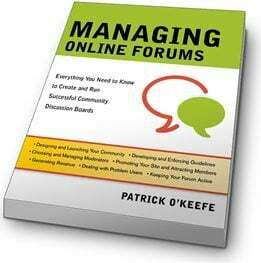 Brand Community Managers Take Heed of "Managing Online Forums"
Patrick O’Keefe knows more about online forums than you do. The level of detail in this book is startling, with a glossary, and an entire section of templates that you can use to craft content posting policies, and communicate with members and staff in a variety of situations (some uncomfortable). If you or your company run an online forum this is an invaluable reference, and you’ll come back to it with great regularity as situations arise that require its counsel. If you don’t have an online forum, this book still contains content that is applicable and right on the money. If you have a blog, a Facebook fan page, a Linkedin group, or any other sort of digital community, it will improve if you digest Managing Online Forums. 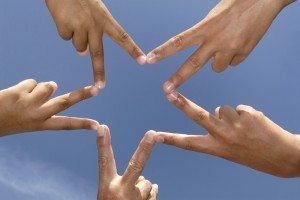 If you are a Community Manager, or oversee the community management role, this is required reading. Patrick quite clearly states the case that being a good facilitator is far more important than being a subject matter expert. Patrick owns and operates karateforums.com but has never broken a board, or even so much as kicked someone. But the content in the community is by all measures excellent, and its membership continues to grow. Why? Partially because he hustles. The need for the community manager to be the Mayor, to be accessible, to be fast, to be genuinely empathetic, is a consistent theme throughout the book. It’s not easy to be a good community manager, because when members have a problem, your weekend or vacation day or sick day or hockey game isn’t really their concern. The other section I very much appreciated covers the importance of welcoming all new members, and creating ways to involve them in the fabric of the community right away. Tremendous applicability of this section to Facebook fan pages and other collectives where members aren’t typically greeted and embraced with regularity. (For more on this concept, see my post on WFACT method for building blog community, inspired by Valeria Maltoni). Once the members have been welcomed, you can’t switch to auto pilot. Patrick offers several ideas for intriguing contests and giveaways and awards programs that will help you keep your membership active and engaged. Anyone that runs a blog should examine the pages devoted to sketchy link strategies employed by forum posters. These hidden affiliate links, redirects, and other schemes are likely to occur on your blog at some point, and Patrick demonstrates how to set up a governance policy, and diagnose these denizens of the digital underbelly. One area where my preferences diverge from Patrick’s is in the area of public vs. private assistance. He describes why he suggests feedback and support questions be sent to him directly via forum private message. And perhaps that’s the best approach for online forums. But, in a blog setting (and certainly on Twitter and Facebook), I advocate handling customer service in public, typically. This provides the benefit of being a living FAQ that may reduce duplicate queries, and gives the organization “credit” for providing support, possibly improving the perception of the organization among viewers of the exchange. If you run an online community, I highly recommend this book. And if you aren’t involved in the day-to-day operations of a blog, forum or other community, it’s still a useful read.